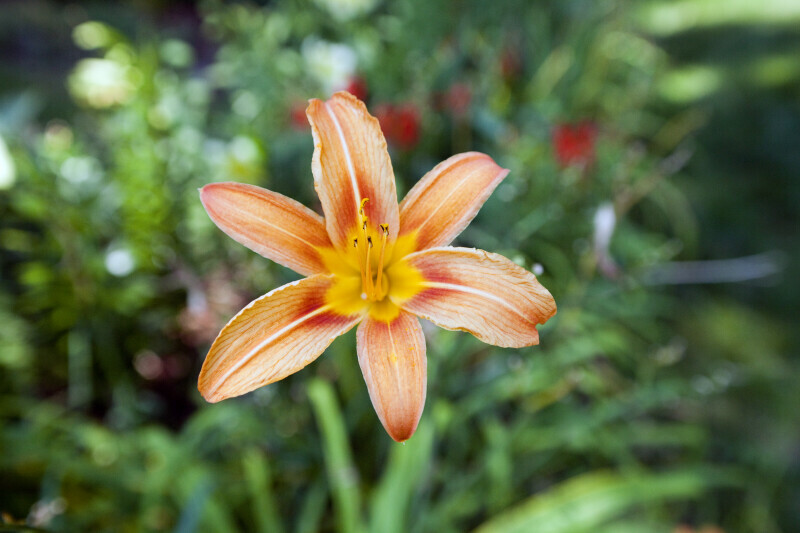 Flower of a lily plant with six tepals containing various shades of yellow, red, orange, and white. Several stamens are extending from the center of the flower. WARNING: You are about to download a 44.7 MB TIFF!